Our 6” Basic Systemhas been designed utilizing our industry leading crossmember and spindle technology. Lift is accomplished by utilizing the factory front Coilover shocks with steel spacers that helps retain the stock ride of the front suspension. 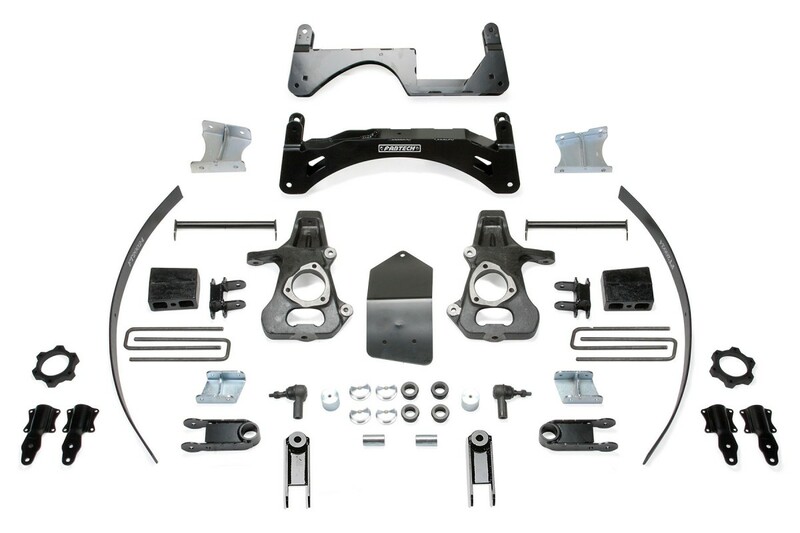 The 1/4” thick steel lower control arm has been formed to fit to the bottom of the 2014 frame without having to cut or modify it for a fast installation. Extensive design work was given to the extended length steering knuckles specifically for the Aluminum component version keeping track width near stock and working properly with the Stablitrac® safety functions. The front differential is relocated with heavy duty brackets while a tightly formed 1/4 ” thick steel skid plate provides protection for offroad use. The rear suspension is upgraded with add a leafs and 5” tall blocks and u bolts.